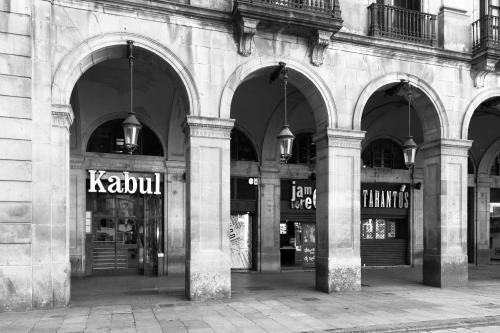 Situated just off Las Ramblas in Plaça Reial Square, the Kabul Party Hostel Barcelona offers a lively atmosphere with daily parties and air-conditioned dormitories. There is free WiFi throughout. 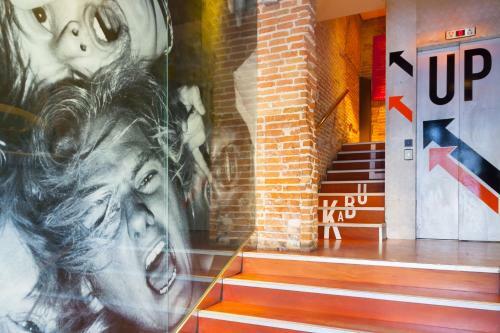 Dorms at Kabul Party Hostel Barcelona are spacious and bright. They come with large private lockers and a plug. Guests have access to shared bathrooms. Bed linen and blankets are provided and towels can be rented from reception. Reception is open 24 hours and the hostel serves a free breakfast buffet. The lobby is a meeting point used as breakfast room in the morning, chill-out area during the day and party place at night. 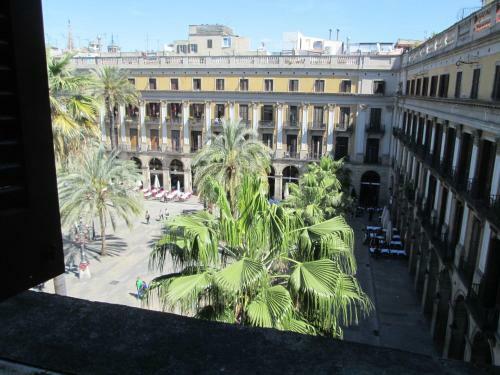 There is a roof-top terrace. 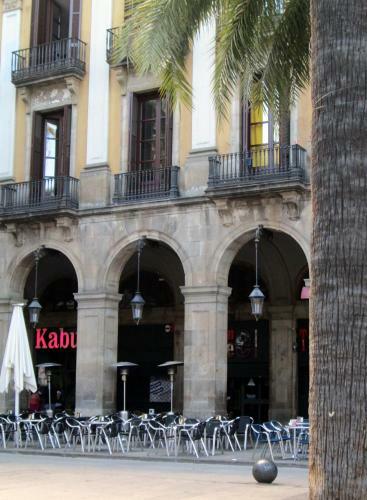 Situated on the edge of the Gothic Quarter, Kabul Party Hostel Barcelona is a 5-minute walk from Port Vell Harbour. Liceu Metro Station is 200 metres away. 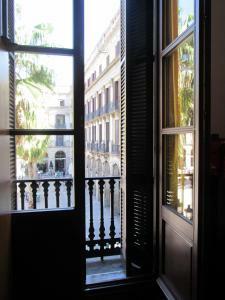 The hostel is located above a nightclub which hosts live flamenco shows and jazz nights. 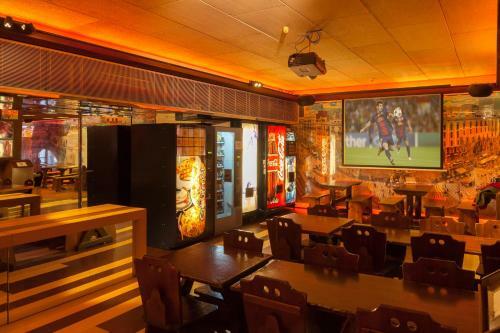 Various popular restaurants and bars can also be found within a 2-minute walk. A security deposit of € 10 is required upon arrival for a locker key. This deposit is fully refundable upon check-out and subject to a damage inspection. Please note that luggage storage is available for € 1.50 per item. Please note that for 10 beds or more, different policies and additional supplements may apply. A security deposit of € 5 is required upon arrival for incidentals. This deposit is fully refundable upon check-out and subject to a damage inspection of the accommodation. 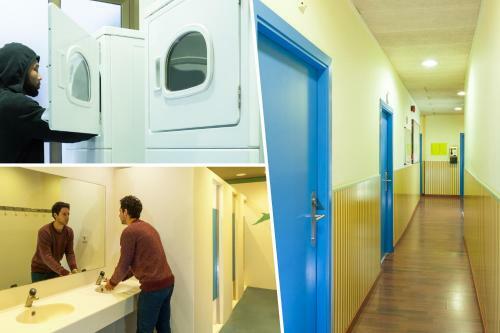 One bed in a shared dormitory room with large individual lockers with magnetic keys. Bed linen, a blanket and a pillow are provided. Guests have access to shared bathrooms, and towels can be rented or bought from reception. Rate: € 19.62 ... € 28.29; select dates below to get current rates. 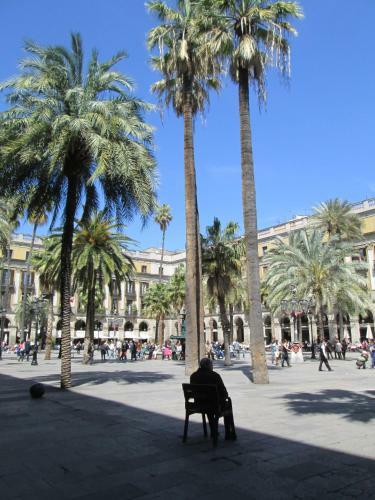 Rate: € 18.00 ... € 31.43; select dates below to get current rates.